I would love a copy to review. I enjoyed the YALitChat where I first heard about the book. Sounds awesome! Great blog and great giveaway. Now I will cross my fingers and hope I win. Great giveaway I hope it's international. Thank you for this awesome giveaway. My follower name is Chi Kittie. thanks for the chance to win some awesome books! Awesome giveaway! :D sounds like a good book! I haven't read too many YA books but this sounds very good. Thanks for blogging about it! 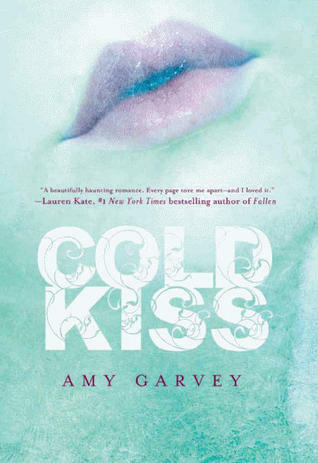 Thank you so much for the awesome giveaway, cold kiss sounds great and cool blog! My name is Foreva Lost in Books and I am Cathee in teh Raffecopter. Thanks for the awesome giveaway:)) i have been wanting to read this book for a very long time!! Oohh! So Kind of you!